The Australian financial services Royal Commission (RC) wrapped up its drama-filled fortnight-long probe into the country’s advice industry with a string of recommendations including a call for criminal charges to be lodged against main offender, AMP. AMP has taken most of the heat for misleading the Australian regulator after knowingly breaching licence conditions that prohibited charging certain clients fees. Among a number of recommendations, the RC suggested “this conduct was attributable, at least in part, to the culture and governance practices within AMP”. However, the RC heard all the major Australian banks – to varying degrees – could face further regulatory action in regard to their financial planning arms. The Commonwealth Australia Bank, Westpac, ANZ and the National Australia Bank were all found to have fallen short of their licence obligations in various circumstances. Institutional advisory firm misconduct tabled at the RC included: charging ‘fees for no service’; inappropriate platform fees; poor vetting when recruiting financial advisers; withholding information from prospective employers about advisers who had previously breached standards; and, specific breaches involving named advisers. 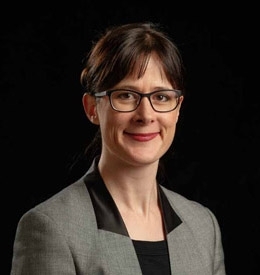 In summing up the hearings, Rowena Orr – counsel assisting the Commissioner, Kenneth Hayne – called for written submissions from those involved to address a number of questions. The long list of questions covers meaty issues such as whether the general legal obligations of the Corporations Act (similar to the Financial Markets Conduct Act in NZ) are too vague and how to ensure advisers “face appropriate consequences” for breaches. The RC also asked submitters to address the “regulatory culture” in financial advice and whether that has contributed to misconduct across the industry. Finally, the RC requested submissions on questions relating to approved product lists, conflicted remuneration and white label products: “First, can financial advisers effectively manage the conflicts of interest associated with providing advice as a representative of an institution that also manufactures financial products? Is it necessary to enforce the separation of products and advice? The RC questions point to a fundamental rewrite of the Australian financial advice rules – again. Authorities across the ditch – in the throes of rewriting the NZ advice rules – will no doubt be taking notes.